Custom hand made roof racks for classic cars. 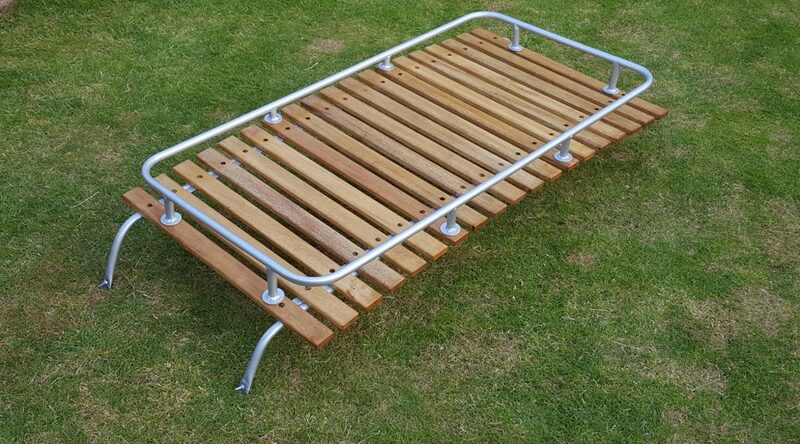 The example shown in the photo is a roof rack produced for a Commer Campervan. This roof rack has been kept in line with the roof to ensure noise and wind interference is kept to a minimum. The wood used is an African hardwood called Idigbo. It is hard wearing and so ideal for vehicles that may be left outside for long periods of time. This particular item retails at £600.00, but please contact us for a price on your vehicle.